Blog related to my on & off Korean Experience. Tourist, Expat, Social, Environmental and other issues. And my satiric eye on it. I will occasionally write about other Asian countries as well. When you browse internet for photos, would you care to ask me for permission to re-use them? I live now in Kyiv, Ukraine where I work for an ngo. This consumes almost all of my time. Please be patient as I do not want to entirely neglect this blog. 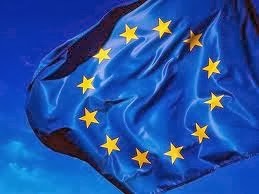 Recently I got involved in a discussion on my FB wall regarding the future prospects and development of the European Union. One of my friends claims that EU should be only an economic agreement between the states, a free trade area because it will naturally bring development and closeness of nations. My other friend claims that the EU needs tighter cooperation and better integration. I am somewhere between them both, I think better cooperation is needed, but I would get rid of cucumber dimension requirements and other bureaucratic stupidity. Last month brought massive protests against the decision made by the Ukrainian president about not joining Free Trade Area with the EU. I got involved a lot, mobilized people for support, published columns, tweeted etc. I have also realised several things, that the EU matters are irrelevant in Asia. I am subscribed to almost every major newspaper or press agency starting from Yonhap News ending with The Times Of India. No news from Europe was ever re-tweeted by these agencies, neither was it of any of interest of my Asian friends. Although formally plenty of Asian states have their permanent mission in Brussels Asia does not understand the nature of the European Union. When they come here to negotiate or do business they separately speak with each head of the state. They do not exactly get the idea. What is the European Union? A union of states, United States of Europe? Economic Cooperation Zone? It is too difficult for plenty of Asian leaders to grasp meanders of the European decision making. . There is an embassy of the European Union in Seoul, and a Polish guy is an ambassador. But what does this embassy really do? Do they give visas to all of the Schengen states? Is there a common trade agency? There is an information about research offers in EU and plenty of information about Eastern Partnership summit in Vilnius, but nothing about EU-Korea business. If these issues are not resolved soon, EU will not get any recognition as a union of the states. It is so far treated a little bit like United Nations. EU talks a lot, but it is still better to speak to German Chancellor to talk business. At least 10 000 people are likely dead after strongest typhoon since tsunami in 2004 hit the Phillippines. Cloths are usually of less need in such disasters, but everything is needed. However remember of the things above because people often donate excessive blankets or cloths but water is missing. My condolences to the families of survivors. Aga. Simple theme. Powered by Blogger.